What is a Book Contract in Publishing? A book contract is a legally-binding agreement between an author and his or her book publisher that dictates assignment of rights, obligations, and money earned. It will usually also dictate terms such as authors' deadlines and word count. In a traditional book publishing agreement, the author retains the copyright and the book publisher purchases the right to distribute the book (referred to in the contract as "the work") in its various forms, over various territories. The traditional book contract outlines the obligations and the rights of each party in the agreement. The physical, practical aspects of the book's development, such as what the work will be, the timing of the author's delivery of the manuscript, even the author's right to manuscript changes. Assignment of author's copyright and of the publisher's rights to publish and distribute the work over the breadth of content formats (including ebook, audio, performance, etc.) and over what geographical territories. When a book publisher offers to publish a book and the author accepts, there are general deal points that are discussed and agreed to. These are hashed out between the author's literary agent usually include the amount of money that the publisher will pay the author as an advance against royalties, and the delivery date of the completed manuscript. Based on the agreed-upon terms of the book deal, the book publisher submits a draft contract to the author's literary agent. These draft contracts are generated by the publisher's contracts department. 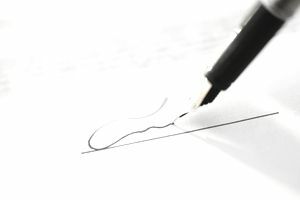 As a necessity, given the number of book contracts signed in a given year, many of the terms and clauses of these contracts are boilerplate, based on the publisher's general policies and the type of book that's being contracted. Note that a publisher might have different boilerplate forms for each of those types of books to reflect those variables. For example, because of the high cost of producing books with color images, cookbooks, coffee table photography book and children's books often have lower royalty rates than text-only volumes. For authors with literary agents — the majority of authors dealing with traditional publishers — the agent negotiates the changes to the draft contract for the author. Since contracts favor the publishing house, agents can be vital in the negotiation for terms. During the negotiation, the agent hammers out the details of the many various, important clauses typically found within a book contract. They not only include the amounts of money in the book advances and royalties, and about subsidiary rights outlined in a typical book contract, but also the finer points of each clause, like exactly how the advances will be paid. For example, the agreed-upon advance for a cookbook might be $20,000 – the publisher might want to pay $5,000 upon contract signing and $15,000 upon acceptance of the manuscript. But the author might need the money to develop the recipes, so the agent could try to negotiate $10,000 up front and $10,000 upon acceptance. Once the details are agreed upon, the publisher executes a final version of the contract. Once the agent approves it, it goes to the author for a signature. The contract is then returned to the publisher for the publisher's signature. At this point, the contract is considered executed, and the author gets a copy (again, the paperwork goes through the author's literary agent). At this point, as well, any advance monies that are contingent upon signing are processed (though generally there's a wait before the author sees a check). Disclaimer: The purpose of this article is to give lay out some very general book contract basics but please note that the author of this article is a writer — not a literary agent or a lawyer — and you should not consider the contents of this article a substitute for authoritative legal advice. If you are negotiating a book contract, you should seek the counsel of a literary agent and an attorney. The Author's Guild has a contract review service for members.